The heart of the universe beats with love, and the world is full of countless expressions of gratitude and positive energy. Nonetheless, negative energy still lurks around and sometimes, it can be exhausting to deal with. 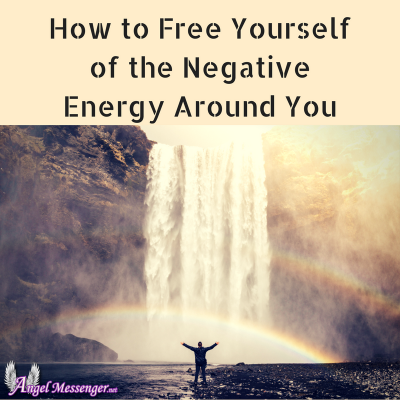 So, if you’re feeling bogged down by all this negativity, keep reading to learn how to free and protect yourself from it. Negative energy vibrates at a low frequency, which is why you literally feel “down” when you experience too much of it. And it doesn’t take much to feel this way because negative energy seems to be just about everywhere. If your parents, family members, friends or coworkers are negative people, you may subconsciously run their energy. Criticism and pessimism flood our society. Headlines, online content and comments, and even shopping experiences can be polluted with negative energy. But there’s something you can do about it! Are you a highly sensitive person or empath? We’re all vulnerable and susceptible to the power of negativity. But if you identify as a highly sensitive person or an empath, negative energy can be downright exhausting. Just as introverts require time to re-energize and recharge after too much stimulation, empaths need to take care of their energetic bodies after they’ve had too much exposure to negativity. That’s because empaths are like sensitive sponges who both absorb the negative energies that surround them and continue to carry it inside. This can make them feel instantly shaken and shattered. But whether you’re an empath or not, it’s really important to protect your energetic body because negativity has the potential to harm everyone. If you’re usually exposed to negative media, now’s the time to put a limit on your tv, radio and internet time. Instead, focus on feeding your soul more uplifting and inspiring content. When it comes to negative or abusive people (especially family members and coworkers), it’s usually harder to turn them off the way you would the internet or radio. But that doesn’t mean their negativity has to keep wearing you down. Start by imagining a boundary that separates you from the negative people surrounding you. The only thing that’s permitted inside your sphere is positive, kind energy. Everything else? Keep out! You can even strengthen your boundary by coloring it with beautiful shades of gold and white. White offers protection and keeps dark energy away. Gold, on the other hand, represents positive emotions, abundance, and happiness. When you visualize yourself surrounded by these colors, it can help you feel more secure and safe from outside sources of negativity. Negative people can bring you down. They can criticize you, your dreams, goals, values, and lifestyle. And there are many powerful ways to fortify yourself against this sort of behavior. Choose an affirmation, like “I am loved”, or “I am worthy”, or even “The universe holds a loving space for me.” Then, set an alarm on your phone for every 30 minutes or so. Whenever you hear your alarm, you’re reminded of your welcomed place in the loving universe and this can help to ground you when you’re surrounded by negativity. 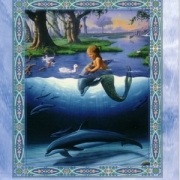 Visualize yourself as an ancient oak tree that is firmly rooted and supported by Mother Earth. No matter how stormy, cloudy or bleak the outside environment is, you stand strong. Remember that some people are addicted to pain and negativity, but you don’t have to be. You can simply be aware of and observe their negativity without having to take that on yourself. This is an incredibly freeing and powerful mindset. Remember that when people express and project negativity, this is an indication of their own inner world and inner self-talk. It is a representation of their energetic state and is never an accurate representation of you, your worth or your place in the world. Energetic healer and teacher, Carol Tuttle recommends two techniques to cleanse and protect your energy. You can begin with a spinal flush and it’s the most beneficial when someone else helps you. Consider your spinal column and allow the other person to run their hand from the top (where your neck and the top of your shoulders meet) all the way down past your tailbone. Carol Tuttle suggests thinking about swiping a credit card. As your spinal column is being flushed, take deep breaths. A spinal flush sweeps the governing meridian, which helps to reset your entire meridian system. Once the negative energy is flushed from your body, it’s time to protect and occupy your energetic space. You can do this by visualizing your center meridian, which runs from your pelvic floor all the way up to your bottom lip. Pretend that there’s a zipper running the length of your center meridian, and zip it up. With the spinal flush, you first sweep away negative energy. Then, you zip up your energetic body. It’s a lot like zipping your winter coat before bracing the cold, wintry elements. 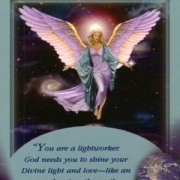 Just as your physical body needs protection, so too, does your energetic body need a little TLC. As you can see, there are many easy ways to deal with negative energy. And if you want to kick it up a notch, here are two powerful practices that make you less vulnerable to the debilitating effects of negativity. Meditation has innumerable benefits for your physical, emotional and psychological bodies. And when it comes to negative energy, it’s a great tool, too. The regular practice of meditation allows you to observe your surroundings with equanimity. 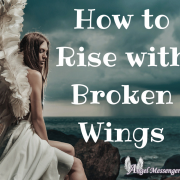 That is, you can be exposed to negativity without falling prey to knee-jerk reactions or fight-or-flight responses. It also helps you to stay grounded in compassion and empathy, rather than succumbing to the usual feelings of panic, despair or anger. By intentionally practicing gratitude, you empower yourself to experience positive emotions and feelings. What’s more, a grateful mindset allows you to cope with stressful situations. That’s no surprise when you remember that gratitude is the highest vibration in our universe. And when you’re grateful, it’s nearly impossible to feel lower vibrations and negative energy. They simply don’t have any place in your loving, grateful mindset. Negative energy is real and really powerful. But with the right mindset and intentional practices, you can protect and free yourself from the negative energy that surrounds you. 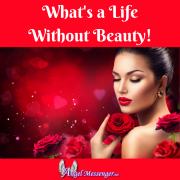 What’s a Life Without Beauty! Lol … that’s a good way to look at it, Brigid. 😉 Being able to turn negativity into gratitude, no matter how simple, is quite important.